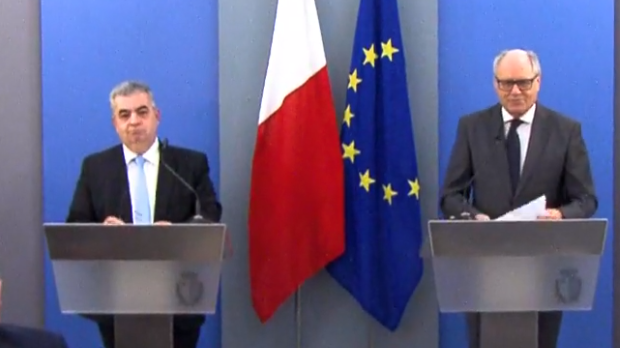 The government will continue to issue refunds to workers or pensioners who suffered injustices at their place of work, Finance Minister Edward Scicluna and Social Welfare Minister Michael Falzon said on Monday morning. The scheme first announced last year, applies to shortfalls in the pensions paid to former members of labour corps, port workers and workers of the Malta Electricity Board. It also applies for the belated payment of police overtime. “We are keeping our word with the workers,” Prof Scicluna told a press conference. He said the government was not legally bound to make any payments but felt it was morally obliged to do so. He said modest claims will be refunded in a staggered manner over a number of years. Those who applied last year need not re-apply. Some 6,000 workers or their heirs are expected to benefit. Prof Scicluna also announced that the government is planning to announce another 62+ bond issue at favourable interest rates for the elderly.